Police officers, emergency workers and first responders risk their lives everyday – to protect our communities. It doesn’t matter how long it takes or what time it is, they always try do their jobs and sometimes work long hours doing so. 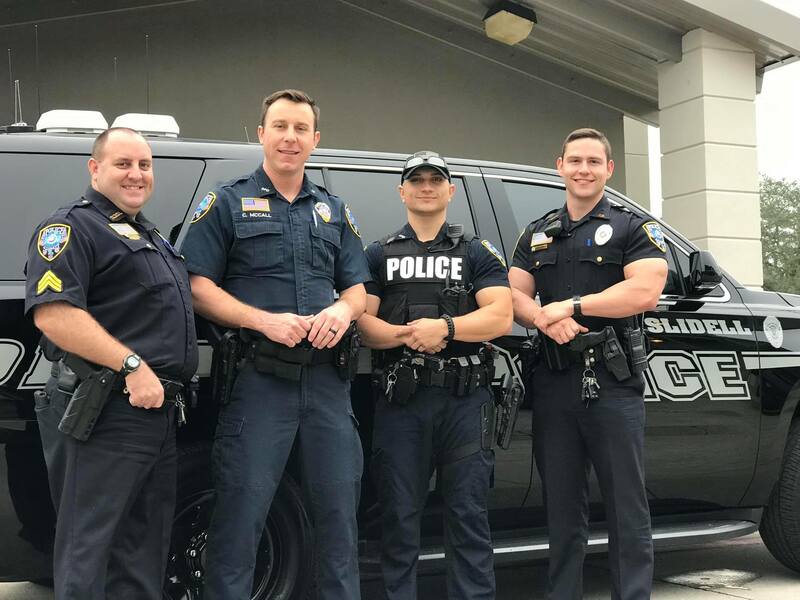 So when these four Louisiana police officers finished a long, tiring shift, they decided to head to their local Outback Steakhouse to grab some dinner. What they didn’t know was the shock that was in store for them when they’d finished their meal. 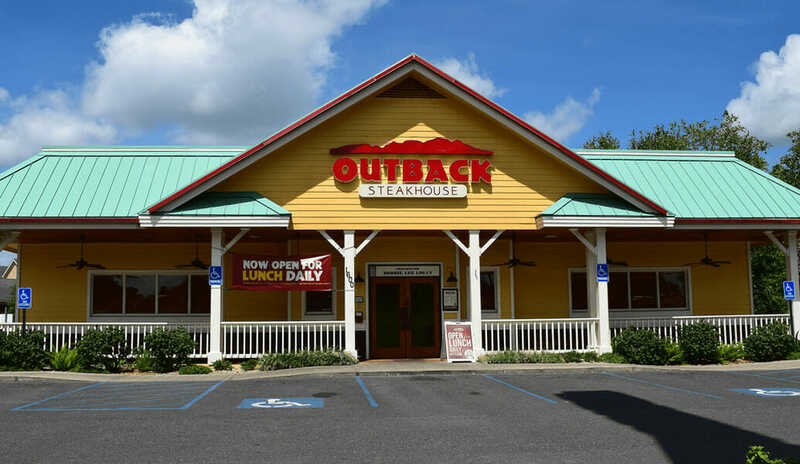 The incident took place at the Outback Steakhouse in Slidell, Louisiana, where four on-duty local officers went to fuel up after work, according to Fox8. Everything went according to plan and everything was as usual. Their meal was served as it should be, and there wasn’t really anything that stood out about the night – until the officers had their receipt and were hit with a huge surprise. However, what happened next drew lots of attention on social media. Manager Arline Wood, an 18-year veteran of the company, saw the officers come in and recognized them as regulars at the restaurant. She and waitress Zoë Rao devised a plan together. When it was time for the cops to pay the $67 tab, the officers couldn’t believe what was written on their receipt – but they quickly realized it was on the house. Not only did the server and manager pick up their tab, there was also a heartfelt note on the ticket, thanking them for their service to the community. “They care about the community. They care about everybody. They’re just great guys. Our whole police force is great and these guys at night, I went to Zoë and I said, let’s take care of it,” Arline Wood said. To show their gratitude, the officers reportedly left a hefty tip to show their own gratitude. 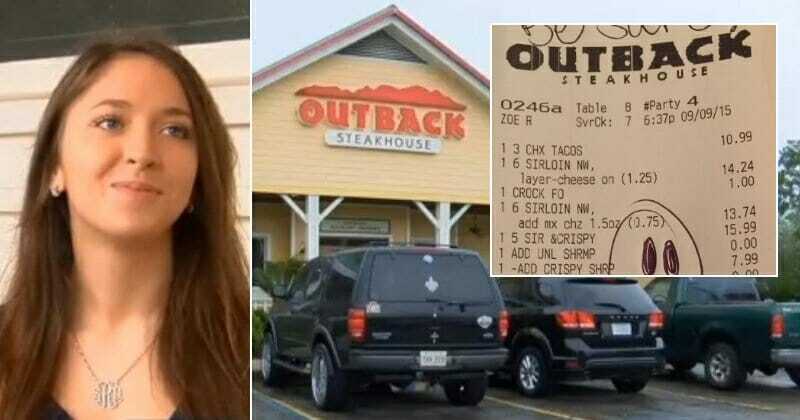 Later, the Slidell Police Department wanted to pay tribute to the two Outback Steakhouse employees and posted an image of the receipt to their Facebook page. However, that’s not what Arline Wood or Zoë Rao wanted at all. They did not want their wonderful act to come out in public. In fact, when asked about it afterward, Arline Wood said the publicity has been a little too much to handle. “I got a phone call early in the morning and I was like what are you talking about?” Wood recalled. But maybe there might be something good coming out from all the attention? Arline and Zoë hope their simple act will encourage others to do something to thank those who put their lives on the line daily to protect us. Big kudos to these women for showing an excellent example of how to thank our law enforcement officers, who volunteer to go out and face evil every day so that we don’t have to! I think this is the kind of things we need to see more iof, rather than hearing about police officers being denied service or otherwise being disrespected by people. It’s acts of appreciation like this that remind them of why they do, thank you to all first responders – you are greatly appreciated! Please share this on Facebook to inspire others to show their appreciation for those who risk their lives every day to keep us safe.